Letters of intent must be received by electronic mail (oar.hq.sg.aquaculture@noaa.gov) to the National Sea Grant Office by 5:00 p.m. Eastern Time on April 2, 2019. Full proposals are due to grants.gov by 5:00 p.m. Eastern Time on May 1, 2019. Note: LOIs and proposals should be sent directly to the National Sea Grant Office and will not be routed through state Sea Grant Programs. 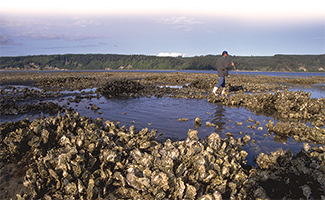 The National Sea Grant Office anticipates at least $9,000,000 will be available to support the establishment of collaborative programs to build the capacity of Sea Grant and its partners to advance aquaculture in areas where a foundation of knowledge and activity currently exists but where significant barriers to sustainable domestic marine and Great Lakes aquaculture remain. These collaborative programs will serve as geographic or topic-based hubs for fully integrated, transdisciplinary research, outreach, and education that will provide broad, non-proprietary support and investment for building and/or enhancing an aquaculture industry. Letters of intent due April 15, 2019. Full proposals due May 15, 2019. Note: Only Sea Grant Programs are eligible to apply for this opportunity. Washington Sea Grant is currently having internal discussions to strategize on submission(s). Please contact us if you have questions. The National Sea Grant Office anticipates $1,500,000 will be available to support Sea Grant-led aquaculture projects to catalyze work in a range of topics or geographies. This competition will fund diverse, and at times, high-risk, developmental projects that will envision, explore and advance aquaculture opportunities where a minimal foundation currently exists. Letters of intent due March 26, 2019. Full proposals due April 24, 2019.